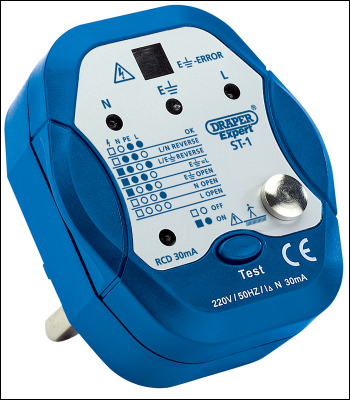 Expert Quality, for testing 13A sockets and RCD's rated less than 30mA. Detects the following electrical faults on sockets: true earth error (through LCD); no earth; L and N reverse; L and E reverse; E live; E open; N open and L open. Display packed.